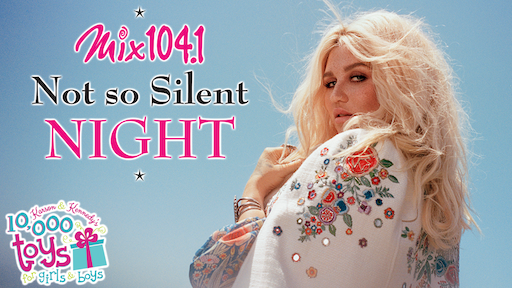 Mix 104.1’s annual holiday show, Not So Silent Night, is coming to The Wilbur on December 14, 2017 and bringing Kesha and Bleachers to the stage. The only way in is to win; details are at mix1041.com. Doors will be at 6:30pm / Show at 8pm. Mix 104.1 will be encouraging show attendees to bring an unwrapped toy to be counted in Karson & Kennedy’s 10,000 Toys for Girls and Boys to benefit the Boston Toys for Tots chapter.